The George H. W. Bush Presidential Library and Museum was in need of a fresh yet strategic marketing plan and corresponding creative. Fundraising efforts for the library were lagging and prospective donor interest was at an all-time low. 20/10 analyzed the situation and discovered the untapped potential: a man who was known for his dedication to public service, who despised broccoli, loved crazy socks, and enjoyed jumping out of airplanes. We needed to humanize and refresh the brand by infusing it with the President's personality. Based on this strategy, we pitched the idea of an online "birthday card" for George H. W. Bush as a fundraising appeal and made his love of fun socks a signature component of the campaign. The library's current donors and donor prospects were invited to visit a special microsite to sign a birthday card and design a sock online. The "best" sock would be selected by the President and produced by the library. 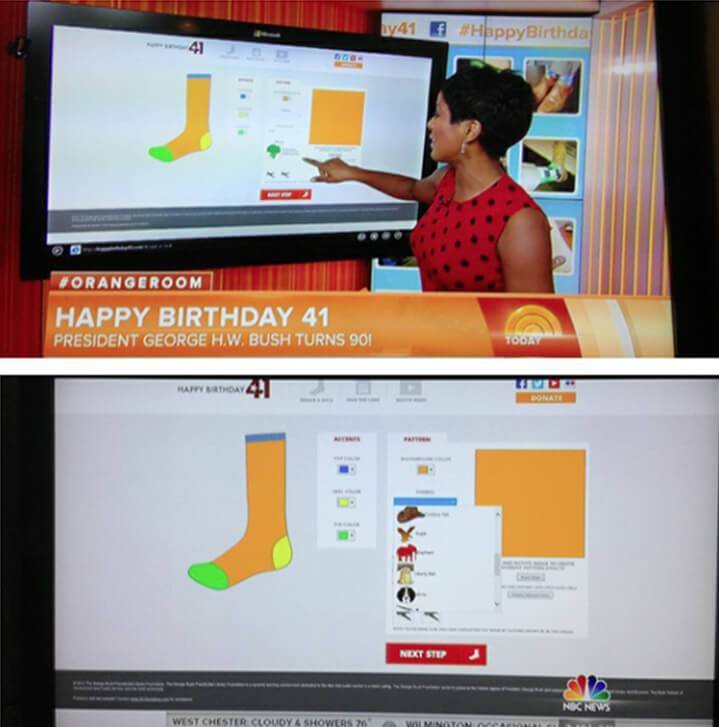 Online socks created within 24 hours of the site launch. Twitter position trending globally on June 12.